My personal lack of interest in genres that begin with the word “Progressive” made it a little difficult for me to approach Akin’s album at first, but a quick reading and even a brief playing of “The Way Things End” easily shows that these people are serious and know what they are doing, regardless of what kind of music this is and the fact that I am the wrong audience. Needless to say, the previously mentioned “Brief playing” of the album was followed by more, deeper listening, and here we are, writing this text. The first thing I noticed and that I think you should know, is that the lineup for this album is pretty impressive, including seven people in the band, plus a string quartet and even more musicians on parts of the album. When I play this album, I notice the high level of production and sound quality, as well as the justification of this number of musicians, layering the songs with intertwining layers of guitars, flute, Cello, violins, viola, keyboards and drums, together forming the colorful, dramatic canvas for the powerful, yet gentle voice of Adeline Gurtner. With their music, her voice travels, sometimes joyfully, sometimes painfully, through the different stories of the album, reminding at times the inevitable Within Temptation, Tristania and Nightwish. Akin, though, sound more serious and able, not confining themselves to a gothic frame of mind, and allowing various exotic music playing and instruments to color their songs with tempting sounds, such as on the song “Miller’s end”, which is one of the best songs in this album in my opinion. Akin deliver a persuasive document of their music, and I think that those who like the bands I have mentioned, as well as Agora and their like, would love these 15 tracks of bombastic compositions, musical chapters and high playing skills. 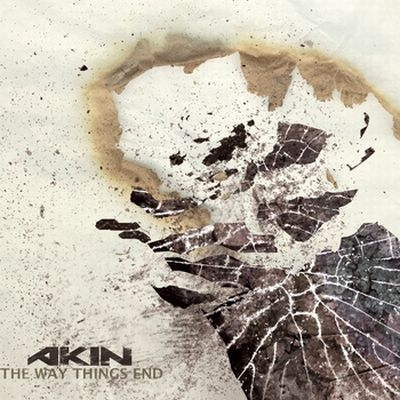 Akin is defiantly on their right way, with a strong and touching album.